The three key concepts of the Research Network address central issues of social inclusion and exclusion worldwide. Research on these issues is conducted nationally and internationally in the areas of political and economic science, sociology and anthropology as well as in history, cultural sciences and linguistics. However, interdisciplinary exchange has been rather limited, primarily due to the lack of institutional platforms and networks for scientific dialogue on research on Latin America. One aim of the Research Network for Latin America is to overcome this institutional deficit, to concentrate the existing expertise on Latin America and to structurally consolidate this expertise. In 2010-2014 another objective of the Research Network has been the cooperative development of cross-disciplinary theoretical approaches to the key concepts. To this end, the sub-projects analyse a number of interrelated case studies, systematically employing approaches of the respective (not just Latin American) theories on ethnicity, citizenship and belonging, bringing them into a new focus. The aim is to broaden – not only regionally – specific knowledge with the theoretical and methodological work on the basis of individual case studies, as well as to provide impetus for the thematic discussion on these concepts. In addition to the overarching theoretical research questions, the focus of attention will be the dialogue on methods employed. The same phenomena are studied by the project members on the basis of communication, discourse and media analysis, participant observation, biographical interviews and network analysis, analysis of historical sources and the conceptual history. This actor's perspective is put into a reciprocal relationship with social structural categories, using quantifying structurally descriptive approaches. How the problem areas can be modeled from the standpoint of the different disciplines and which concepts can be beneficially "translated" was part of this discussion. Hereby, disciplines with a more systematic and primarily historical-cultural orientation complemented each other in a way that were lacking in research on Latin America. In 2014-2016 the Research Network has set aims to investigate the practical application of ethnicity, citizenship and belonging in the dialogue between science and certain fields of practice. During the first period, it became clear that, firstly, an interdisciplinary and comparative access to the key concepts is useful. Secondly, the thematisation of ongoing negotiation and construction of the investigated social categorisation and ideas of belonging proved to be particularly important. Therefore, in this period, the KLA is going to study the use of academic concepts such as ethnicity and belonging in representations of oneself and of others, as well as articulations of citizenship, their negotiations and consequences in socio-political and educational practices. The KLA will furthermore make these concepts applicable. Specifically, the project will examine in which form and with which consequences the social science concepts of ethnicity and belonging are used, how they construct essentialisms, how policies of identity are used in the context of claims to citizenship and how they thereby create or enhance mechanisms of exclusion. The sub-projects of the Research Network – in spite of their specific focus – are unified by the analysis of social and cultural differences and affiliation criteria, their etiology, mechanisms and consequences. The involved social inclusion and exclusion processes are influenced by a variety of factors. The working groups deal with these various factors in five sub-projects (see Staff). In 2010-2014 the sub-project Bielefeld raised the question how inclusion and exclusion are communicated in the political arena and which factors have an impact on this communication. The sub-project Bonn dealt with the political and social space by means of the example of migration and translocal relations. Through the application of a relational and procedural concept of space, this sub-project examined the importance of local-material bonds for the self-conception of migrants, and dealt with how externalities of migrant workers might amplify citizenship in a labour market that is increasingly uncertain and marginalized. The sub-project Cologne examined the interdependencies of ethnicity and citizenship with other social categorizations such as class, gender and age. The sub-project Hanover analysed ethnic attributions in their interaction with socio-economic and political changes. The sub-project Münster examined the historical development of citizenship for the population of indigenous and African origins in Mexico during the transition from colonial times to the modern constitutional state. 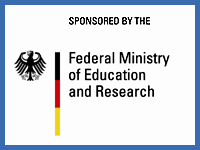 In 2014-2016 the aim of the sub-project Bielefeld is to develop educational material based on the key concepts of the Research Network in accordance with the principles of Global Education. The sub-project Bonn focuses on articulations of belonging and citizenship in the context of migration in Madrid and examines self-organised social movements and migrant associations. In concepts of the practically applied component, several workshops with migrant organisations and institutions of development cooperation have been organized. Creation processes of cultural differences as well as negotiations of citizenship and belonging in Latin America are at the centre of research interests of the sub-projects Hanover and Cologne. Both sub-projects are preparing an event on Global Education and Intercultural Coaching to transfer the scientific knowledge into practical application. Moreover, the sub-project Cologne is particularly dedicated to the question of what role differentiated citizenship plays in the form of differentiated rights in education in ethnicized conflicts in the conservation unit RESEX in the Brazilian Amazon region. In Hanover, a further focus lies on processes of the formation of elites and the marriage market in the context of migration processes in Ecuadorian urban spaces. The sub-project Münster analyses the creation and use of ethnic and national categories of identity in Mexico at the local level. Another aim of this project is to produce radio features on the results of the Network's researchers. Ethnicity describes a socially constructed phenomenon, in which collective self-attributions and attributions by others are employed in delimitation to one another. The actors use different cultural practices or recur to different features to consciously distinguish themselves from others. It is a dynamic concept that is used to classify people into categories. One of the most important reference points in the different semantics of the ethnic is the idea of a common origin (similar to M. Weber). In the past as well as in present Latin American societies, socio-economic inequality is not only influenced by such ethnic categorizations, but co-determines them significantly. Since the time of colonial rule, ethnic categorization (the sistema de castas) was one of the most important mechanisms of social order. In many regions the Spaniards separated the indigenous inhabitants spatially and socially from the rest of the population. The structures set up by the Spaniards, which shaped Latin American societies over the span of more than three centuries, continued to live on in many places even after the colonial rule fell and still influences the social formations of many states. At the same time, political participation rights are – at least since the colonial period – implicitly organized along ethnic categories. Thus, in Latin America they represent an important resource that can be used by different actors, such as indigenous movements, to obtain their goals. The attempt to invalidate (post-) colonial economic and political exclusion along this category, in turn, reinforces the ethnicization of politics, which led some Latin American societies, such as Colombia, Ecuador and Bolivia, in recent times, to define themselves explicitly as “multi-ethnic”. Since the 19th century, a "scientific" concept of race was used to distinguish population groups in Latin America. However, unlike in the U.S., the positive impact of mixing the supposed "races" as a counter-concept to their strict separation was propagated as well (e.g. "la raza cosmica" by J. Vasconcelos in Mexico). Nevertheless, the populations of African and indigenous descendants were often regarded as inferior by the Creole-mestizo elites –- excluding them from citizenship in whole or in part. The argument of ethnic belonging, which has been increasingly promoted by indigenous movements since the 1970s, remains central to questions of political, social and cultural participation. Regarding configurations of citizenship, the Research Network explores the debates about political concepts of order and their changes. It particularly analyses the reformulations of the political commonwealth that occurred repeatedly along Latin American history. This concept describes a historically specific set of civil, political and social rights and obligations (T.H. Marshall). Meanwhile, the triad has been supplemented by cultural rights and obligations of various kinds. At the same time, citizenship denominates the constant negotiation process about this set of rights and obligations between political institutions with hegemoniac claims, individuals and groups. Citizenship is thus a dynamic concept: both the rights and obligations that it entails, and the question of who benefits to what extent from civic inclusion (even beyond the formal legal status) were and are subject to ongoing changes. These negotiations refer to an understanding of the state, primarily of European-Republican provenance, which formally bestows all citizens as individuals the same rights and duties and thus establishes membership to a political community, excluding non-citizens. These rights and obligations are based on specific imaginaries of community, as well as the respective basic principles of social inclusion. De facto, the access to those rights in different (historical) phases has not been the same from individuals and groups; it has rather been an expression of different positions of power. Even the newly gained sovereignty, achieved through the independence struggles in the early 19th century, could not bring about fundamental changes. The liberal promise, for example, of formally equal citizenship rights for all "citizens" obscures existing asymmetric power relations. Civil rights can thus establish loyalty to an "imagined community" (B. Anderson) and strengthen social cohesion. Since the establishment of national states in Latin America, these different constructions of the respective national identity groups favor specific social groups and discriminate others. The extension of civil rights onto members of other groups, for example ethnic groups, is subject to constant negotiation processes. The post- / or trans-national understanding of citizenship as well as recent claims concerning ethnic or cultural citizenship debunk the concept of uniform membership as an unfulfilled promise, while undermining it at the same time by looking for alternatives to a state-centered model of citizenship. It is evident that especially indigenous actors and movements actively contribute their own ideas of societal order to the political discourse (ciudadanía indígena, cultural citizenship). Migration research, too, employs an extended definition of citizenship, which emanates from quotidian living patterns, political initiatives and negotiation processes of those who are excluded from possibilities of political participation (e.g. voting) for being so-called non-citizens. Hereby, spatial boundary-marking and reference points, such as nations and continents, are transcended to promote the study of transregional and transnational activities, which dominate the social interactions in a globalised world. Ideas and understandings of belonging vary both in everyday and scientific use. A first scientific reading of the concept implies forms of belonging that are used as self or external attribution, as a desire or claim to belong. As such, belonging is used as a kind of meta-concept, which involves other social categorisations, such as citizenship or ethnicity. These formal or otherwise legitimate memberships also constitute an affiliation (belonging) with a group. It is then possible to infer from these collective belongings processes of inclusion and exclusion related to groups, no matter if they are socially constructed or legally assigned, such as a nationality. It can also be investigated how power relations contribute to the definition of social boundaries or political units that impede belonging and thus lead to exclusion (“politics of belonging"). This contrasts with the understanding of belonging that derives from the bonding of individuals to their natural and social environment. This understanding of belonging stresses multiple and convertible bonds beyond normative conceptions of order. These situational and multiple bonds, which may be of social, material and sensual nature, are subjected to a continuous process of change and are constantly re-articulated and re-negotiated in the day-to-day activities and experiences of the actors. In such a reading, belonging overrides any form of legal legitimacy and regulation, and comes into being as a result of events and through individual life stories. Especially in times of global networks and constant exchange, the concept indicates the compatibility of different conceptions of belonging and thus stresses the permeability and not the establishment of social boundaries. In addition, this understanding of belonging as being relational and contextual opens up the possibility to go beyond the analysis of social phenomena and to integrate both the related spatial and historical dimensions. This can be observed especially in the context of researching transnational movements, migration and trans-locality. In this context, belonging reflects the complex relationships that individuals have with different locations, multiple realities and changing social and political landscapes. According to Anthias, belonging can be placed at the interface between the social position that is assigned to an individual as part of the social order, and its own positioning within society. The combination of structural and actor-oriented migration research is a promising starting point to work out the tension between the rather essentialist positions of belonging, such as the primordial idea of belonging to an ethnic group or nation, and ideas of multiple bonds that take into account the alteration and the breakup of normative social orders.